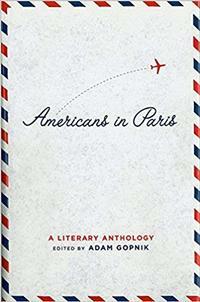 "For two centuries," writes The New Yorker essayist Adam Gopnik in the preface of his 2004 collection Americans in Paris: A Literary Anthology, "Paris has been attached for Americans to an idea of happiness, of good things eaten and new clothes bought and a sentimental education achieved." 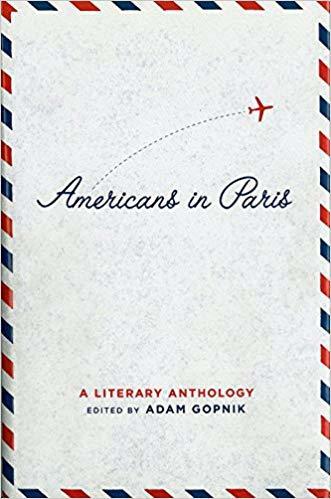 The voices of over 250 years of Americains abroad in this collection are curated by Gopnik not only from the letters, essays, poems, fiction, and diary entries from famous expatriates like Ernest Hemingway, Gertrude Stein, and Henry Miller, but also choosing works from creative professionals like food writer M.F.K. Fisher, haute couture doyenne Diana Vreeland, or children’s author Ludwig Bemelmans – you know, "In an old house in Paris, that was covered with vines, lived twelve little girls in two straight lines... the smallest one was Madeline." There are also some surprises – did you know Abigail Adams traveled there with her husband after the signing of the Treaty of Paris? (Her gossipy description of Ben Franklin’s uninhibited French mistress in letters back home is a very funny poison arrow.) P.T. Barnum ventured there with Charles Sherwood Stratton, aka "General Tom Thumb", the little person superstar of his traveling sideshow. Even Art Buchwald spent an enviable three-year sojourn there after World War II, bumming around the city while residing in a Montmartre hotel where his neighbors were an international retinue of professional artists/alcoholics, back when a restaurant lunch cost thirty-five cents a day. There’s also a good showing from key figures of the Harlem Renaissance like Carl Van Vechten and Langston Hughes, acknowledging how Paris was a refuge for the African-American intelligentsia, and Frederick Douglass’s late-in-life letter home captures some of that breath-of-fresh-air quality that welcomed Black Americans. Remarking on making the acquaintance of a cultured French Haitian scholar, he declared "If a race can produce one such man it can produce many." On the flip side of that yearning hope, there is a particularly poignant wartime image from Janet Flanner, Gopnik’s fellow New Yorker scribe (her column "Letter From Paris" ran in the magazine for fifty years), describing the spectacle of women prisoners of war being returned home from Ravensbrück: "They arrived at the Gare de Lyon at eleven in the morning and were met by a nearly speechless crowd ready with welcoming bouquets of lilacs and other spring flowers, and by General de Gaulle, who wept." Gopnik’s Francophilia runs deep. While he was born in Philadephia, his family soon moved to Montreal, where they were some of the earliest residents of architect Moshe Safdie’s Habitat 67 experimental housing complex. 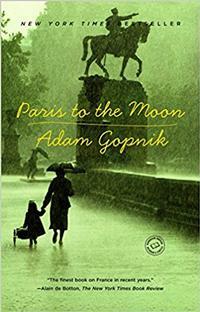 And if the essays in Americans in Paris pique your own appetite for the City of Lights, check out Paris to the Moon, Gopnik’s 2000 memoir of the five years he and his young family left New York for their own expatriate adventure. It is full of charming vignettes about not so much the clash of cultures but the ways in which they rub against each other and generate static electricity. Gopnik remarks how the unpadded French playgrounds remind him of "the last chapter of Lord of the Flies", how a confused restaurant interprets their request for the non-existant concept of "take out" by carrying dinner plates of hot food to their apartment, and how when he denies his son’s five-year-old playmate a second hot chocolate, she fixes him with a look of withering Gallic eloquence. But it’s not just travel anecdotes – Gopnik is known for using wit to marry his high- and low-brow musings, and the span of his thinking includes French law, mortality, protest, fashion, beauty, and why French taxi drivers will not make U-turns. All sojourns must end, and Gopnik returned to New York at a particularly somber time right after September 11th, 2001. Through the Children's Gate: A Home in New York—the book he wrote in the aftermath of that very shocking return home—makes sense of the Manhattan he returned to, where its citizens are coping with collective trauma by willfully burying it under the nuisances and ephemera of metropolitan life. 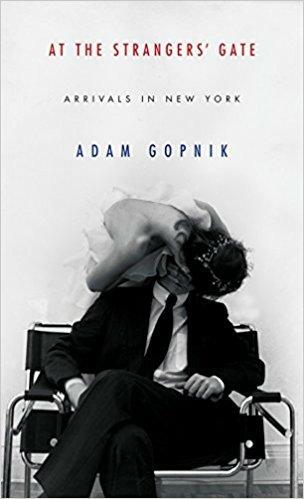 But as time passes, his feelings towards the Big Apple warm, and his 2017 book At The Stranger’s Gate: Arrivals in New York takes inventory of his 30 year relationship with a city that is mutable as Paris is immortal. Gopnik talks about these books, and the process of writing, in a podcast recorded when he visited the Free Library last year.